31 Jan 2019 --- Unilever has reported lower-than-expected Q4 sales, which were affected by flat volume growth in developed markets. In the company’s first set of results under the reign of new Chief Executive Alan Jope, sales rose by 2.9 percent and there was an increase in profits for the full year, which stood at €9.8 billion (US$11.21 billion) in 2018 compared to €6.5 billion in 2017. Unilever reportedly put disappointing Q4 results down to Argentina for “hyperinflation that led prices to spike more than 50 percent and therefore volume to fall more than 20 percent in the quarter,” Reuters reports. Sales volume in the Americas and Europe remained flat, as pricing growth was offset by volume declines. The company lists competitive pressures in North America, particular in ice cream and mayonnaise, as well as declines in France as reasons for these lackluster results. Full-year results showed improved sales in developed markets were bolstered by a “stand-out year for ice cream” in Europe, partly due to the heatwave experienced in many parts of the continent last summer. For the full-year, Unilever reported a turnover of €49.6 billion (US$57.05 billion), excluding its divested spreads business, and earnings of €3.48 (US$4.00) per share. The consumer goods company reported a pretax profit of €12.38 billion (US$14.2 billion) , up 53 percent from €8.15 billion (US$9.3 billion) in 2017. Unilever said that this was the result of improved margins, with its underlying operating margin improved to 24.6 percent from 16.5 percent. 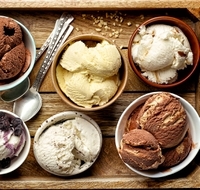 Ice cream had yet another strong year helped by innovations on premium brands including a new Magnum Praline variant and a non-dairy range of Ben & Jerry’s. The launch of Kinder ice cream alongside good weather helped to deliver strong ice cream growth in Europe. Ice cream was also the only category of Unilever product sales that did not decline in France. However, Unilever's revenue fell to €50.98 billion (US$58.5 billion) in 2018 from €53.72 billion (US$61.7 billion) in 2017, due to currency headwinds and the disposal of its spreads business in July, notes the company. The maker of Ben and Jerry’s ice cream is working to move past last year’s plan to move its main headquarters to the Netherlands, but has also reported full-year sales growth would be at the bottom end of its 3 to 5 percent forecast range. Underlying sales, excluding spreads, grew 2.3 percent with 1.6 percent from volume, reports Unilever. Sales in tea grew modestly and emerging market growth was driven by good performance on the company’s core brands like Brooke Bond in India. In developed markets, challenges in black tea offset good growth from Pukka and the new organic Lipton range. In savory, Knorr was helped by a good performance of cooking products in emerging markets and more organic and natural innovations such as a new “soup in glass” range. In dressings, campaigns centered around Hellmann’s purpose to fight food waste? helped to increase brand equity, but sales were held back by promotional intensity, particularly in the US. Innovations including Knorr rice and pasta pots as well as the company’s new brands Red Red, Prep Co and Mãe Terra helped Unilever build scale in the fast-growing snacking segment and it announced an agreement to buy Horlicks in India, Bangladesh and 20 other markets. “Looking forward, accelerating growth will be our number one priority. With so many of our brands enjoying leadership positions, we have significant opportunities to develop our markets, as well as to benefit from our deep global reach and purpose-led brands,” Unilever CEO Alan Jope says. “In 2019 we expect market conditions to remain challenging. We anticipate underlying sales growth will be in the lower half of our multi-year 3 percent to 5 percent range, with continued improvement in underlying operating margin and another year of strong free cash flow. We remain on track for our 2020 goals,” Jope adds. In 2018, Unilever again delivered profitable growth with another year of strong gross margin progression and double-digit growth of constant underlying earnings per share. Underlying sales excluding spreads grew 3.1 percent with 2.1 percent from volume. Price growth in Argentina, which was excluded from USG from July 1, 2018, would have contributed 50bps. The deterioration in the conditions for consumers in Argentina resulted in a full-year underlying volume decline of -10 percent which had a -30bps impact on Unilever volume growth. Emerging markets grew by 4.6 percent with 2.8 percent from volume driven by another year of strong growth in Asia AMET RUB. Turnover decreased 5.1 percent which included an adverse currency impact of 6.7 percent and the disposal of spreads which was completed on 2 July 2018. Underlying operating margin improved by 90bps to 18.4 percent. Brand and marketing investment was 10bps lower, while absolute spend in local currencies increased by €60 million (US$69 million), even after productivity gains from zero-based budgeting.